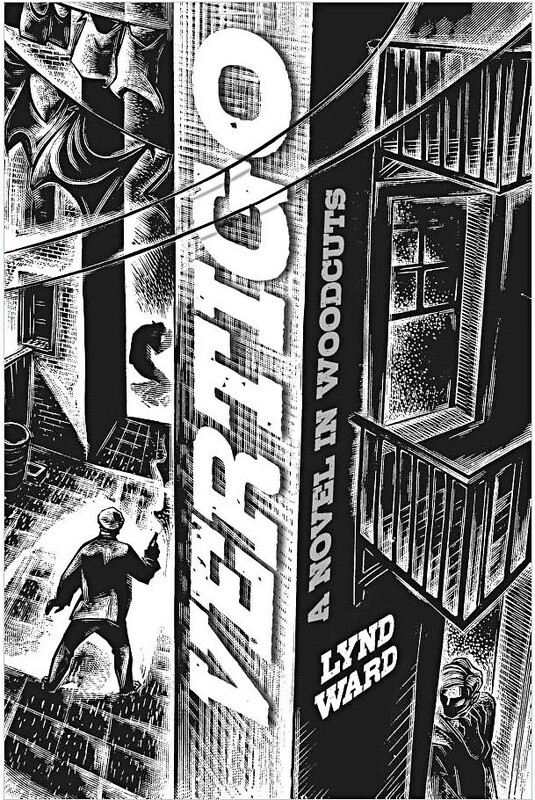 As with some others who seem to straddle the line between fine and commercial art, Lynd Ward stakes out his own distinct territory in the illustrative landscape. His best known work, which is easily found all over the Internet, is from the 1930s. 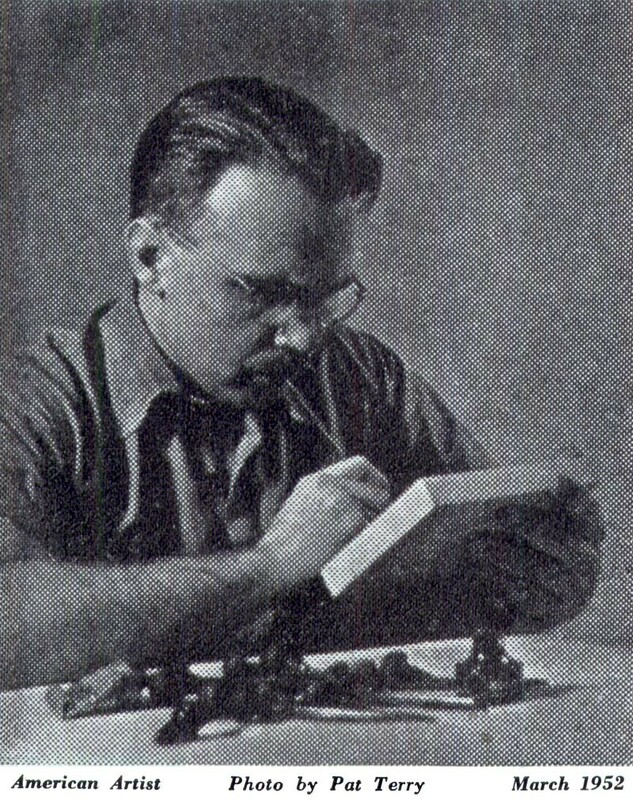 Ward studied design theory and art history at Columbia University, followed by an eight month stint at the Academy of Graphic Arts in Leipzig where he learned the technical aspects of book structure and design. 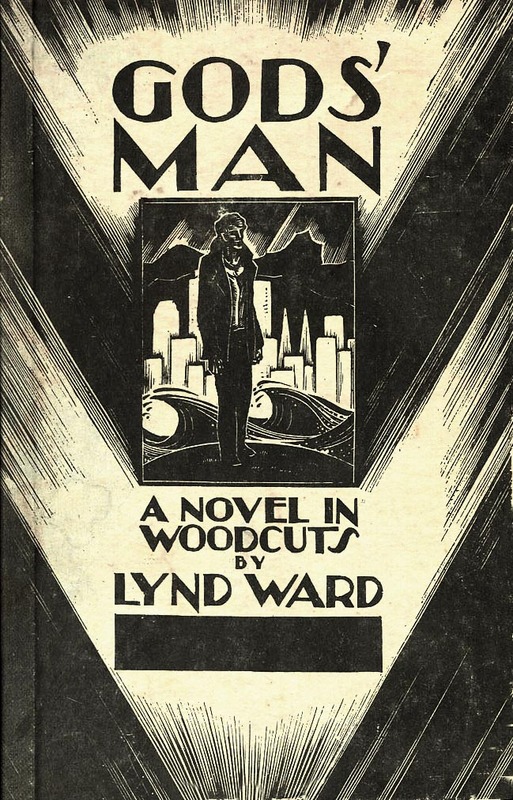 Upon his return, now armed with both a practical and theoretical understanding of art (not to mention a tremendous degree of natural ability and ambition) Ward set to work executing the blocks for the first wood-cut novel ever published in America, "God's Man." This wordless, semi-autobiographical novel released in 1929 was followed by five others - "Mad Man’s Drum" (1930), "Wild Pilgrimage" (1932), "Prelude to a Million Years" (1933), "Song Without Words" and "Vertigo" (1937). They established Ward's reputation with the book publishing industry as a highly regarded specialist. 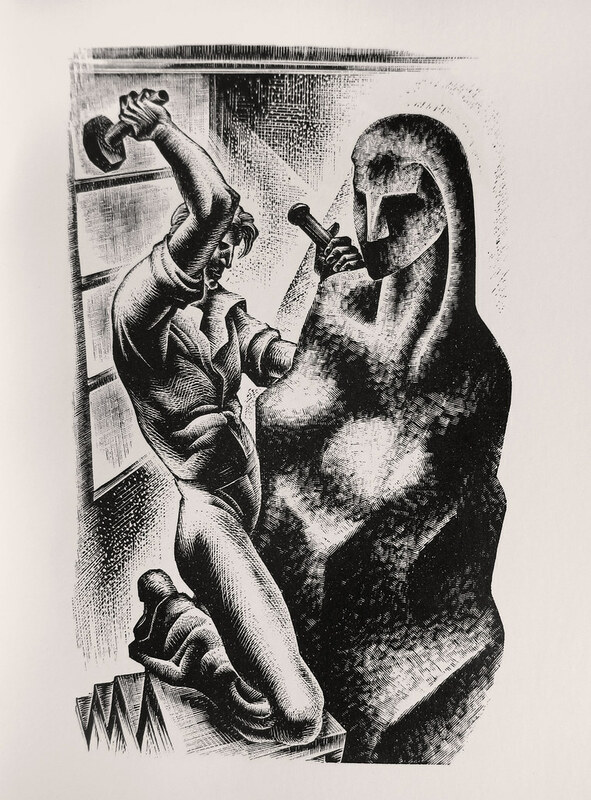 During the next twenty-five years Lynd Ward produced "God's Man" he engraved nearly a thousand wood blocks(!) constantly working at perfecting his technique and design sensibility. Its easy to imagine he must have influenced many other artists as well. 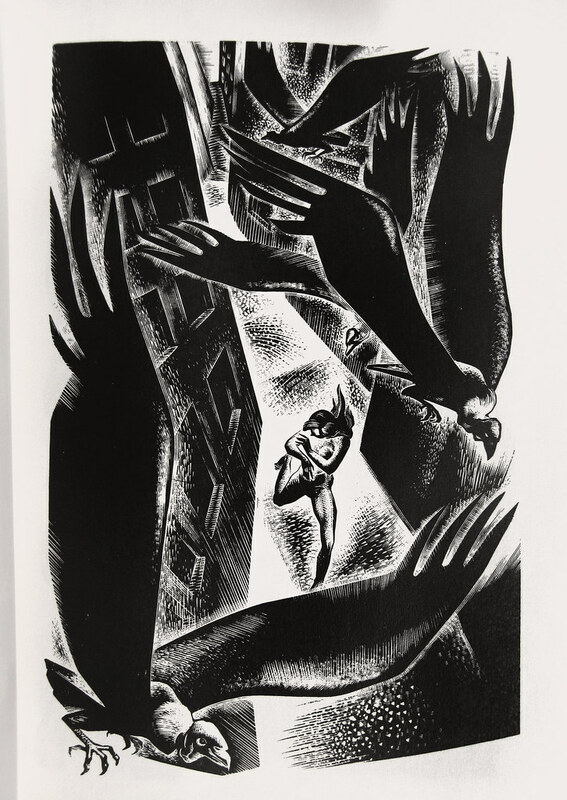 Here are a few Lynd Ward plates from Thomas Shahan's wonderful Lynd Ward Flickr set. I encourage you to click through and peruse the more than thirty scans Thomas has archived. 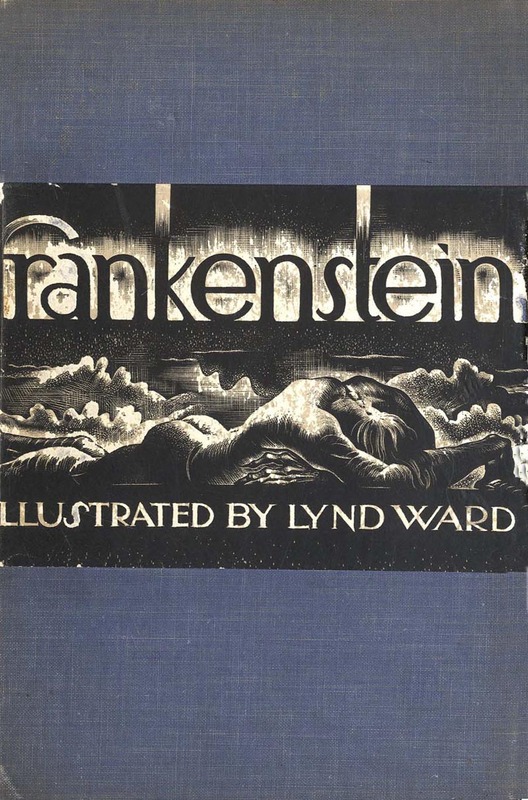 In the midsts of his series of "wordless novels" Lynd Ward also produced one of his most famous works; the 1934 illustrated edition of Mary Shelley's Frankensein. 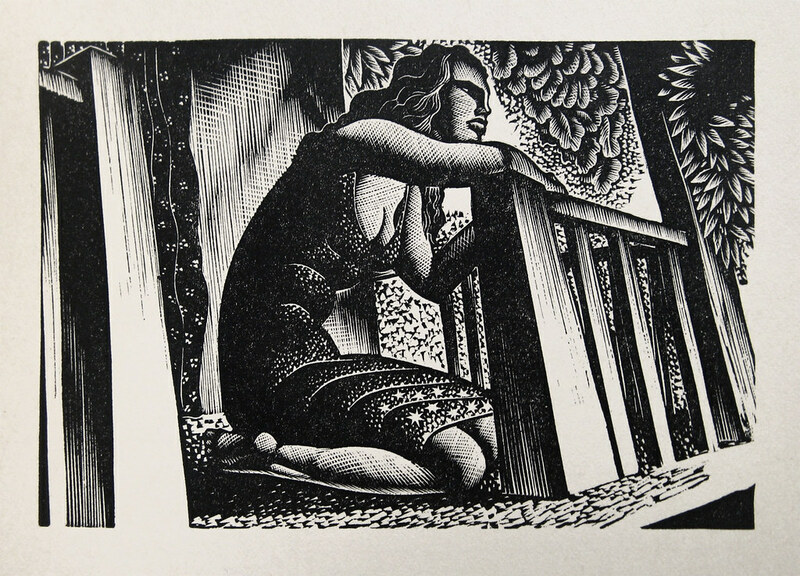 When searching online, its perhaps not surprising that Lynd Ward's woodcut engravings dominate most search results. 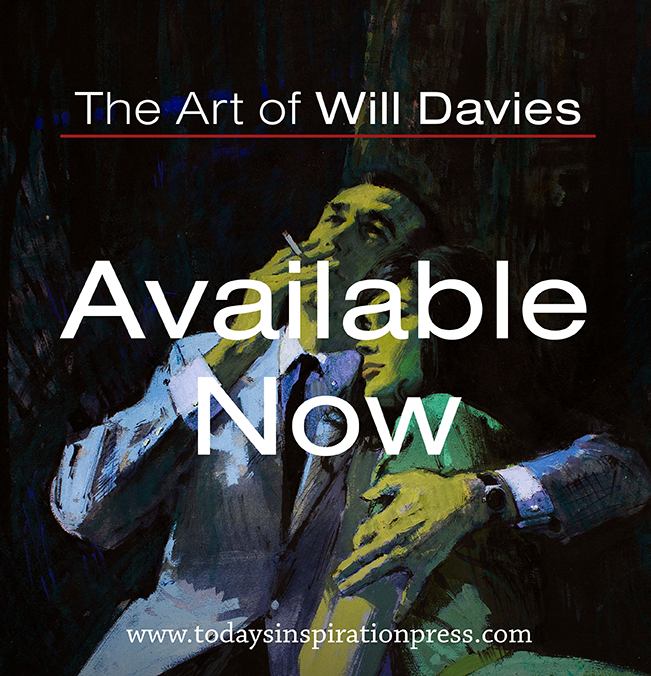 They are visually striking, to say the least, and the fact so much of this work has been reprinted suggests there is a modern audience willing to pay for affordable editions of what would otherwise be rare and expensive out-of-print books. 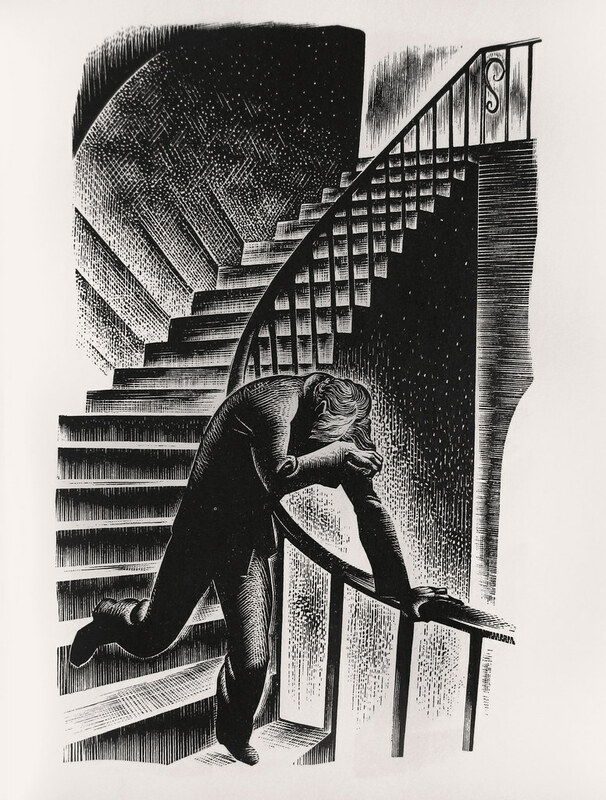 But as a matter of personal taste, Lynd Ward's woodcuts have always left me a little cold. 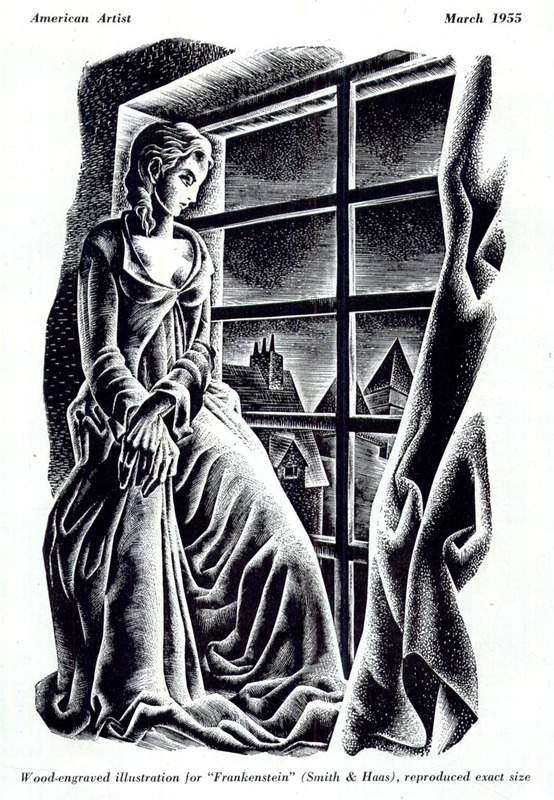 Happily (for me, anyways) there is another side to Ward's work - one less well known. 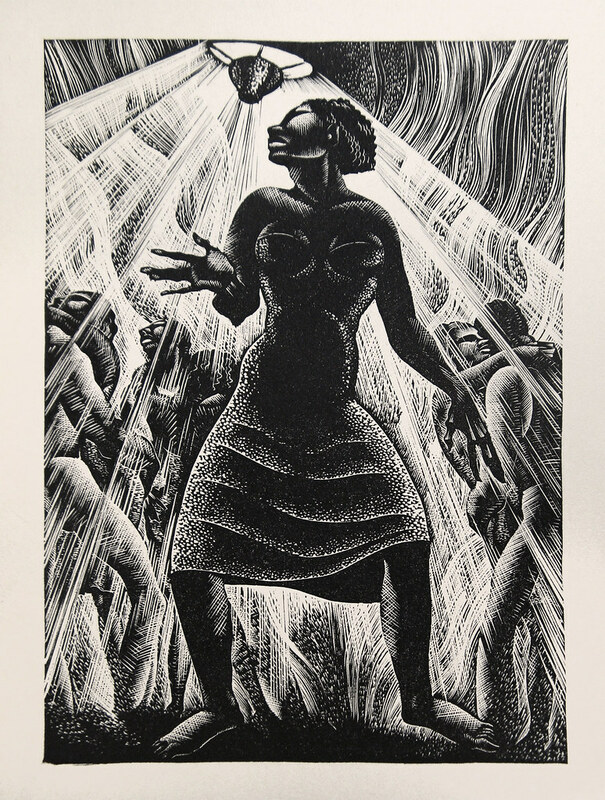 This week I'd like to share some of that other Lynd Ward work with you. We'll begin... tomorrow. 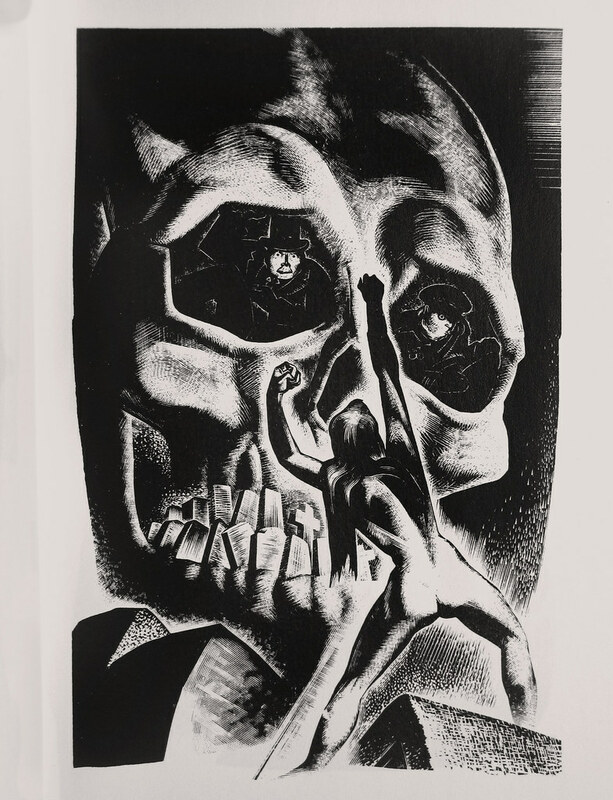 I've always loved Lynd Ward - and I'm experimenting now with printmaking as well - Thank you, I really enjoyed this post! Never saw him neither heard of. I will caution though the term woodcut when referring to wood engraving. While both are relief techniques, they aren't the same, as wood cuts properly refer to the cutting of wood on the "plank" side of a piece of relatively softer wood, and wood engraving is done on the end grain of a block of hard wood. 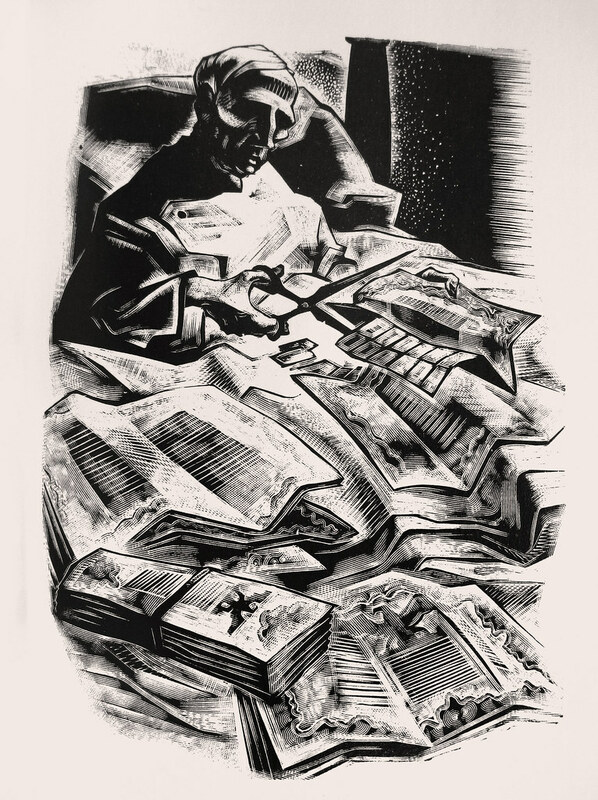 These look like engravings and the image of him working clinched it for me. "Upon his return to the States he executed the blocks for the first wood-cut novel published in America, "God's Man." This is unbelievable!!! Love it!